How about some spicy Chicken Curry with Ghee rice? So for the next few minutes let's bask in some real cooking.. 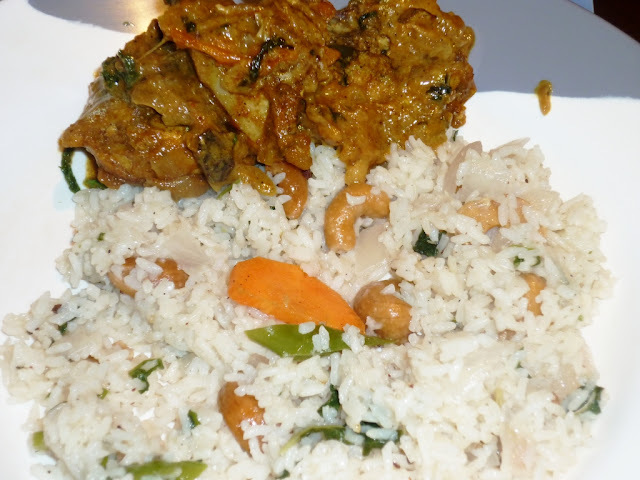 This time of the year is perfect for something spicy---This spicy Chicken curry is well known to many,but deepsrecipes is trying to simplify the method. After cleaning the chicken with salt and vinegar,marinate with ginger garlic paste,freshly prepared garam masala,salt,mint leaves and some red chilly powder. Heat oil in a sauce pan.Saute onion chopped.Add some salt.When it turns to brown,add the tomato.Let it cook for a while.Now add half of the leaves chopped and the chicken. Add the chilly powder,pepper powder,meat masala powder and coriander powder. Keep stirring with out adding water for 5 minutes. Now you can see the oil separates from the chicken.Now add 1 tbsp yoghurt and green chilly. Pour very little water and cook the chicken well after closing the lid. When chicken is fully done,pour in the coconut milk with the rest of the leaves and more pepper powder if you prefer. Close the lid again until the gravy thickens and oil starts appearing on top. 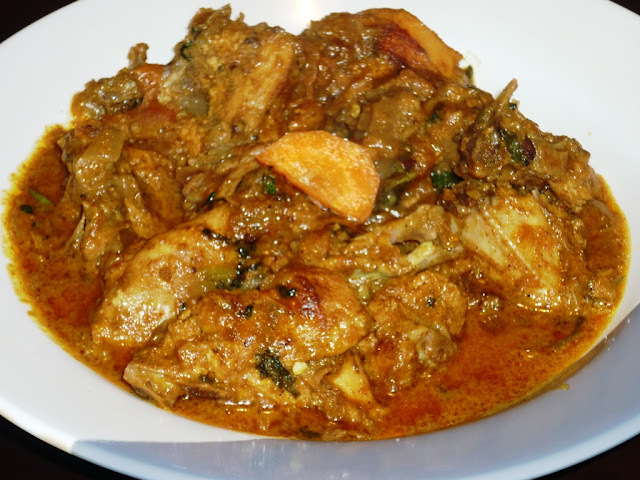 Take a break from all the worries and ENJOY the weather.Good day all..
Slurp,mouthwatering here, wat an irresistible chicken curry.